It’s Sunday so it is time to take a look back at the best stories of the week. 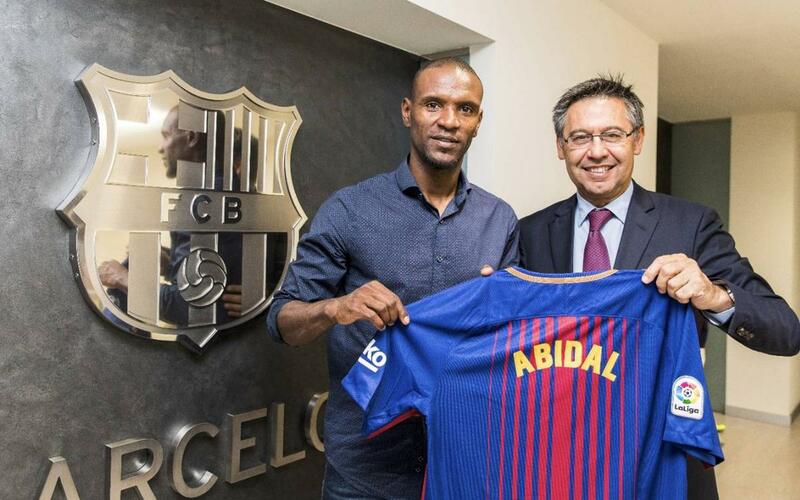 The presentation of Abidal as a new Club ambassador, Ronaldinho’s return to the Camp Nou, the partnership between the FCB Foundation and ACNUR and Aleix Vidal’s recovery are some of the most important pieces of news from the second week of June. Éric Abidal is a well-loved figure for blaugrana fans because of his talent and his strength off the pitch. Ronaldinho will wear a Barça shirt once again when he plays for the Barça Legends against Manchester United on the 30 June.Deezer found out what the first team players’ favourite music is.Marlon Santos will stay with FC Barcelona. The Club has announced that the Brazilian will stay at Barça for the next three seasons.The FC Barcelona Foundation and UNHCR announced a joint campaign in support of child refugees. Messi and Neymar Jr where the first to join in.Piqué describes his teammates with famous emojis. Discover which one he chose for each first team player.Aleix Vidal played in the Copa del Rey final 105 days after sustain a serious injury. Find out how the recovery went.Record attendance at the Palau Blaugrana for a futsal match. A total of 6,923 fans watched the fourth match of the league final play-off against Movistar Inter.